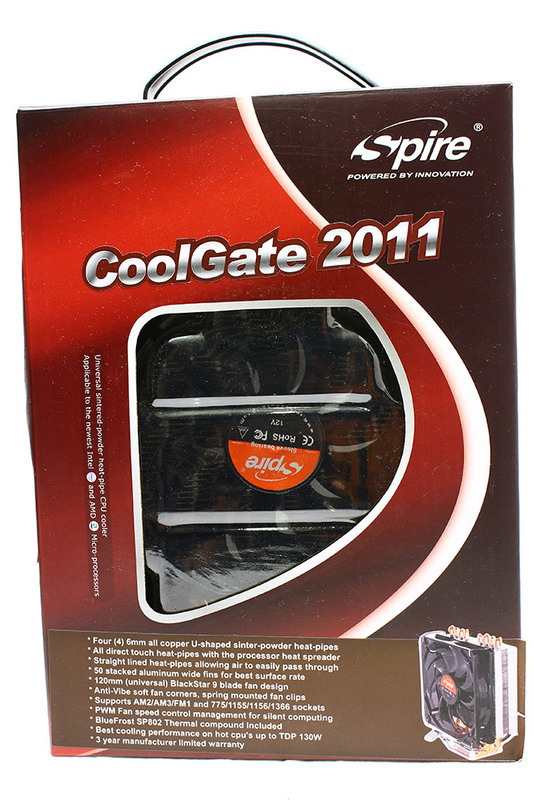 Spire is a lesser known CPU cooler manufacturer in the UK, they were founded in 1998 in The Netherlands and today I’m trying the Spire Coolgate out. It’s certainly not the largest cooler I’ve ever had to cram in my case, so hopefully it isn’t the hardest either! Let’s begin. Air flow: 71.12 CFM Max. The front of the box has a clear window and some good information on the cooler. 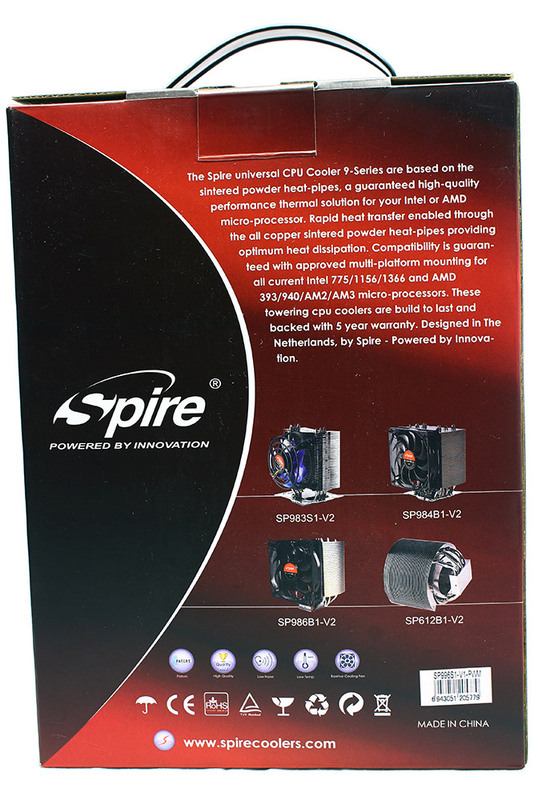 The rear shows some information about Spire and other Spire coolers. 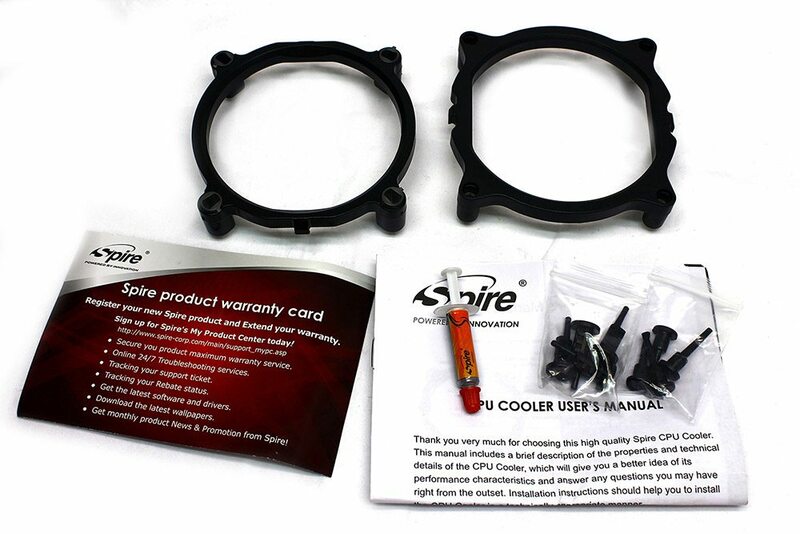 The bundled items include: A warranty card, user’s manual, mounting rings, two sets of push-pins and Spire BlueFrost thermal paste.